A lot of popular online casinos are driven by the software provided by Realtime Gaming, a company that came into existence in 1998. Almost 10 years later, it became a part of Hastings International and came into the spotlight. Though casinos provided with RTG software cannot impress gamblers with many big wins, they are still very popular due to the large array of hot games, multiple banking options and responsive customer support. Sure, the edgy and seamlessly running software is the basic competitive advantage of RTG-based casinos, providing gamblers with exciting online experience. Unlike some other online platforms, RTG-powered casinos are available for both Europeans and Americans that makes their software even more popular. Besides, in full accordance with the company’s slogan, RTG is dead serious about the choice of casinos entitled to exclusively offer its games. RTG-based casinos boast a wide selection of games, including multiple slot options. There are progressive jackpots and video slots, some of them being RTG’s exclusive products. They are supplemented with video poker and table games delivering an exciting experience due to their bold animations and flawless running. Though offering the best part of its games through downloading, RTG also provides instant-play opportunities. There are over 140 slots with a varying number of reels and pay-lines in a RTG’s collection. They are widely known and loved by gamblers for their off-beat themes and advanced graphics. In addition to classic and video slots, RTG-powered casinos offer exciting jackpot games, including the slots with random jackpot – it allows pulling off a win regardless of a combination of symbols. Aztec’s Millions, Crazy Vegas, Nice or Caesar’s Empire are among the most famous slots of this provider. In spite of its focus on slots, Realtime Gaming provides casinos with something like 30 tables games, covering cards, dice and roulette. MH Blackjack, Pai Gow Poker and Baccarat are only few examples of the extensive RTG’s collection. 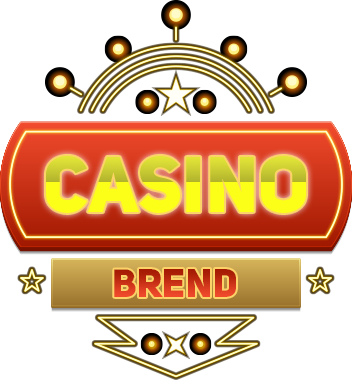 Realtime Gaming-based sites are friendly to video poker fans, offering over 70 variants of this game. Lots of gamblers are very much familiar with Double Joker, Tens or Better and Joker Poker developed by RTG, as well as with its other video poker options, featuring both standard and unique rules. Also, RTG’s sites attract with their choice of specialty games like Keno or Roaring Twenties Bingo – simple, but fascinating games with nice prizes and much pleasure to get. Following the hottest trend of going mobile, Realtime Gaming has created a choice of slots to play on the go, including Cleopatra’s Gold, Builder Beaver and Caesar’s Empire. A blackjack option was added to the choice, but these RTG’s games are still limited in the number and available only for devices based on Android or iOS. RTG-based platforms offer multiple payment options, including credit or debit card payment (Visa and MasterCard), payment with digital wallets, bank transfers and payment by cheque. In addition to the payment choices, Realtime Gaming casinos provide the helpful customer support, which is available around-the-clock. Gamblers can quickly get in touch with the customer support team via traditional phone or fax, as well as via online means like live chat or e-mail. Most part of important information about bonuses, deposits and other issues associated with gaming can be quickly found in the FAQ section of the company’s official site. Realtime Gaming is not very good in hard-line policy as for selecting operators to earn the license. Therefore many of them are licensed in Costa Rica and other jurisdictions, which are far cry from strict observance of fair rules in the gambling industry. This can reflect upon RTG image, though this provider is known for its fair play coupled with the top-grade products and services. This is proven by regular TST tests, carried out by a reputable auditor to confirm compliance with the industry standards. Besides, Realtime Gaming holds a CDS certificate that verifies the fair Random Number Generator distribution.